This month’s featured swimmer is Amanda Fisher. Amanda has always had a passion for swimming. She swam on the swim team throughout high school, swam for exercise in college, and even became a swim coach for her local high school swim team. Amanda is a mother of two daughters and a full-time middle school teacher. 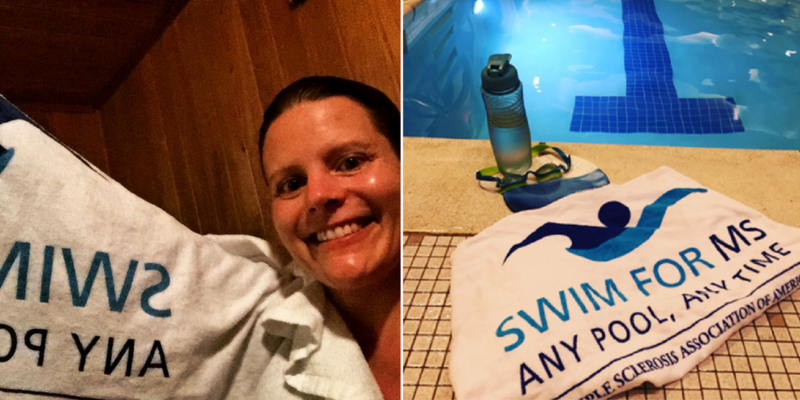 It was hard for her to find time to swim, until she came across Swim for MS. Amanda set a challenge for herself to swim 300 laps in just 13 days. She knew it was a lot to do in a short amount of time, but was determined to make it happen! November is a great time to celebrate family, friends, and good food, but it is also the beginning of a season of giving. Swim for MS is an easy way to give back this month. Sign up for Swim for MS and help Improve Lives Today! Double your impact by encouraging others to participate in Swim for MS with you! To register, visit www.SwimForMS.org. Congratulations to Justin Wong of Team Phi Swimma Kappa for being our Top Swim for MS Fundraiser in the month of October! 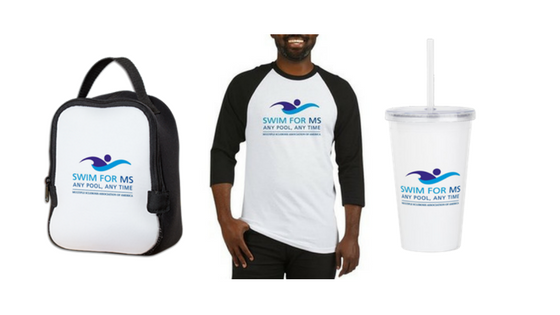 Sign up for Swim for MS for your chance to be the top fundraiser next month and win a Swim for MS portable 2-in-1 cooler/chair! Looking for more Swim for MS gear? Check out our CaféPress site, as well as our Swim for MS Partner – Endless Pools!